Enlarge/ Google CEO Sundar Pichai. 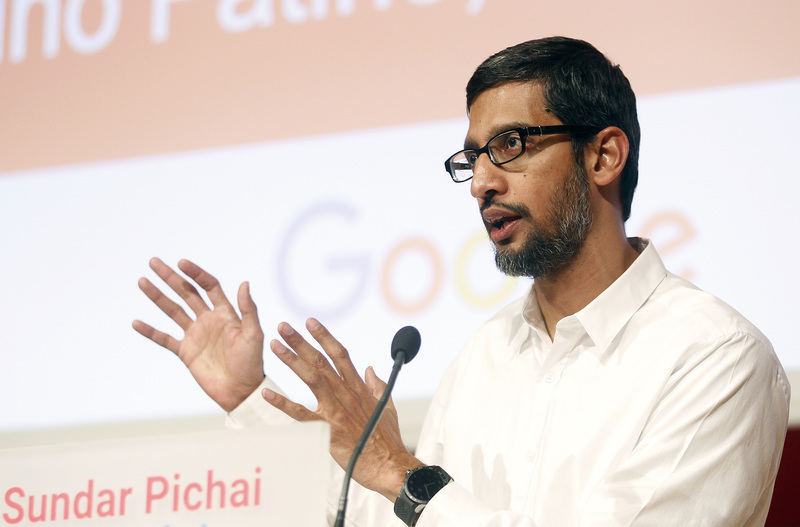 Google CEO Sundar Pichai is scheduled to testify before Congress next Wednesday, December 5. The hearing will give members of the House Judiciary Committee a long-awaited opportunity to grill Pichai about a wide range of issues, from user privacy to free speech in China. According to the Washington Post, next week’s hearing is occurring at the request of House Majority leader Kevin McCarthy, who has raised concerns that Google may be biased against conservatives—and that this bias may be seeping into the policies of Google’s search engine, YouTube, and other products. A recently leaked video showed Google executives openly mourning Hillary Clinton’s loss after the 2016 election. Google has recently faced criticism from employees over rumors that Google is working on a censored search engine for the Chinese market. The reports have also raised concerns for members of Congress, including McCarthy. “Reports claim the company is compromising its core principles by complying with repressive censorship mandates from China,” McCarthy said in an emailed statement. Google has also faced criticism from employees for its work on military drones—work Google is reportedly planning to discontinue in 2019. Here, the pressure from Congress is likely to push in the opposite direction from the company’s protesting employees, with members of Congress encouraging Google to apply its technical prowess to strengthen the US military. Last year, European regulators slapped Google with a $2.7 billion fine for abusing its dominant position in the search market, then faced another $5 billion fine for using Android’s dominance of the smartphone market to bolster its position in search. Google critics like Yelp have been pressing American regulators to take a closer look at these issues. Traditionally, strict enforcement of antitrust laws has been more associated with Democrats than with Republicans. But there have been signs of growing interest in the topic within the GOP. In an interview with Axios earlier this month, Donald Trump said his administration was “looking at” stronger antitrust enforcement against Google, as well as Amazon and Facebook. Missouri just elected a new Republican senator, Josh Hawley, who campaigned as a fierce critic of Google’s business practices. So Pichai could find himself facing tough questions from both sides of the aisle—from Democrats who are skeptical of big businesses generally and from Republicans who are concerned about the growing power of Silicon Valley technology companies.